For sports enthusiasts, sports events are the perfect day out. From days watching cricket to afternoons relaxing at a football match, watching sports is the ideal hobby. As well as watching sports, a lot of enthusiasts choose to take part in them by playing for teams or planning events. Just like any event, sports tournaments take a lot of time and effort to plan. 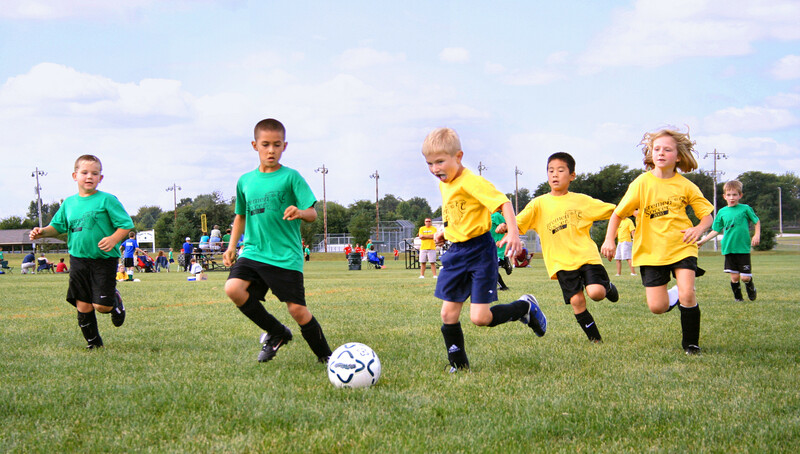 Whether it’s for a children’s sports or adult ones, there’s a lot that needs to be sorted when planning a sports event. The good news is that planning an event doesn’t have to be stressful; it’s just a case of getting each aspect right. Here’s a few ideas for organizing the ultimate sports tournament or event. When it comes to organizing sports events, it’s impossible for one person to do everything. In order for an event to be successful, a committee is needed. That way, jobs can be shared equally out among everyone, to ensure that all the important things get done. From refereeing matches to dealing with the advertising, there will be plenty of jobs to do. Aim to get volunteers who are committed and have experience with arranging events. Once there’s a committee in place, the next step is to select a venue. This needs to be somewhere where there are sports facilities, like a local sports arena. It’s important not to pick a date before finding the venue as this will make it much more difficult. To find the best local places, the internet is a fantastic resource. Most sports team are booked up months in advance, so the date of the tournament will probably need to be at least four months away. That way, this gives the teams invited the chance to swap games around to attend. It also means that in terms of entertainment and refreshments, which will get to in a bit, you’ll have more choice. The most important part of any sports event is the equipment and other essentials. These need to be sorted at least a month in advance, to ensure that everything that is needed is available. Equipment, like balls, whistles, and markers, can be brought online. There are also lots of companies offering trophies and medals online. Most equipment and other essentials can be hired or ordered online. Even so, it’s important to get these things sorted as soon as possible. As well as planning the events, it’s also essential to organize entertainment and refreshments. These can be for during or after the games, it doesn’t matter, just as long as there’s some on offer. As well as providing refreshments for the players, it’s also important to offer things for the spectators. Sports events might be a hassle to organize, but they’re a great way to get more involved in the local sporting community. They’re also ideal for bringing local teams together and helping to form relationships. This entry was posted in Other and tagged hosting, local community, organized sports, selecting a venue, sports and leisure, Sports Archives, Sports Blogs, sports events, sports planning, sports tournaments. Bookmark the permalink.